If your cat is showing early signs of aging or weak posture, has dull coat or slower to eat food or is less active, it is time to give them high amount of nutrition. SeaFlex is a bio-marine nutritional supplement full of vital nutrients. It contains all the essential ingredients including fatty acids, high levels of vitamins and minerals, as well as a UNIQUE patented deep, cold-water source of marine nutrients, which is beneficial for joint care. SeaFlex is a unique supplement for senior, adult and younger pets. Enriched with anti-oxidants, marine carotenoids, amino acids, and marine trace minerals, this revolutionary feed supports joint function, maintains skin and coat health and enhances general well-being in cats. This highly powerful energetic natural supplement slows down aging process, and improves overall health of pets. Found it very easy to administer and Tiga didn't seem to mind at all. Which is the most important thing. 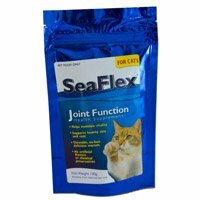 Helps easily my cats to gain mobility and improve joint health. 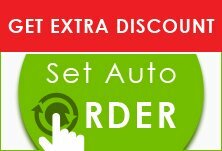 Always stock it and bestvetcare supplies it at low price.